Find out how independent specialists can make sure your project is technically well designed and developed. See how our experienced engineering team can help you get implementation right first time. We can help you optimize your project to secure the best return on investment across your whole project lifetime. Our expert team de-risks investments and delivers technical advisory to lenders, investors and vendors. Commercial offshore wind has been around since the turn of the century; first in the European North Sea and spreading into new markets over the years. Now we're seeing the rise on offshore wind in Asia and North America, as turbine sizes are growing to 10 MW +. Founded in 2007 by two experienced people with expertise in offshore wind, K2 Management has been heavily involved in many milestone offshore wind projects globally. Take a look below to find out more about our involvement in the sector, and what we've been working on. Wind is our background and it's where we intend our future to be. We deliver a wide range of services within engineering, planning, project management, and due diligence spanning the entire value chain of an offshore wind project from the earliest phase of development through to asset management and optimization. Our experienced team has delivered owner's engineer roles on offshore wind projects across the globe. Having a trusted owner's engineer on your side can make your project less risky and more bankable. Share the benefit of our offshore experience by making us your owner's engineer. We know what our clients' goals are for their projects - to be completed on time and on budget to the right spec - so we make sure that's our ultimate goal too. This shared goal drives us to deliver and our involvement will bring value in the form of more profit, reduced risk, and time saved. Delivering a full scope construction management role on the €1.2bn Deutsche Bucht offshore wind farm is no mean feat. From procurement to construction management, risk and HSE, find out what we're doing on the project and what our client, Northland Power, thinks about our partnership. Click on the video to play or find out more about our role here. What are the cost drivers affecting low-cost offshore wind? In today’s zero subsidy environment it’s all about coming up with the strongest business case and lowest strike price if you want to win the rights to build a project, whether onshore or offshore wind. During K2 Management's assignments, common trends were identified, illustrating the industry’s growing appetite for both cost and risk reduction and performance improvement. This report identifies key trends across both onshore and offshore wind projects based on real project data, delving deeper into how these trends may evolve, shaping future projects and wider industry advancement. Do you go to war without first planning and practicing your next move? The same question should be asked when developers are planning the development and construction of their projects. An armed forces technique, Rehearsal of Concept (ROC drill), allow soldiers to rehearse battle plans in advance of the event. A consortium led by Australian bank, Macquarie, has agreed to purchase the UK’s Green Investment Bank today in a £2.3bn GBP deal. K2 Management led the technical due diligence on the transaction on behalf of Macquarie after being appointed in 2016. K2 Management’s specialists undertook detailed technical reviews of the status and performance of GIB’s wind assets. 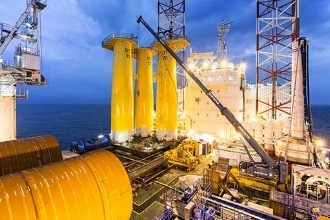 This involved assessing the construction status and costs for two major offshore wind projects, and providing comfort to Macquarie, its partners and lenders on turbine technology risk and construction risk. The scope also saw K2 Management assess long-term assumptions for operating costs and performance, as well as providing ongoing updates to our work as the deal progressed to a successful conclusion. Launched in November 2012, The UK Green Investment Bank was the first bank of its type in the world, created by the UK Government and capitalized with public funds. For our long-term client EnBW, Energie Baden-Württemberg AG, K2 Management supported the German utility with independent technical and commercial advice and review of the main contracts of the upcoming 500 MW EnBW Hohe See offshore wind project. 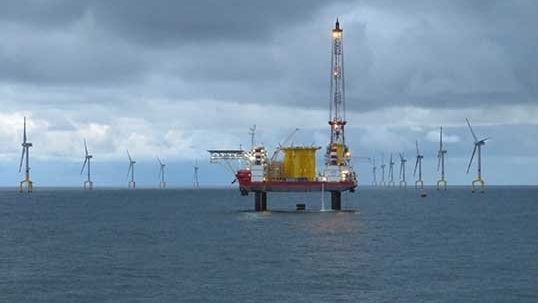 K2 Management is currently undertaking comprehensive due diligence for the project, located in the German North Sea, as part of its first full lenders’ technical advisor role for an offshore wind project. Having successfully completed the initial bankability review, our team is now focusing on detail on the key technical, commercial, construction, environmental and operational aspects of the project. The first key milestone in our assignment will be finalization of the Bank Launch Report, which will play a central role in giving potential lenders the confidence to become part of the project’s financing process. K2 Management will then support lenders through finalization of the due diligence process in parallel with assisting with the ongoing de-risking of the project, which is already employing a number of strategies to improve bankability and cost certainty. “K2 Management has become one of a very small number of wind consultancies to be accepted as lenders’ technical advisor services for offshore wind financing. Our experience from more than half of the world’s offshore wind projects either on the owner or lender side, give us a strong combination of offshore wind project delivery and due diligence expertise. "We are pleased to support EnBW and the project financing process for EnBW Hohe See, and it has been rewarding to see K2 Management accepted by major banks and investors for the provision of the most demanding type of technical due diligence role. 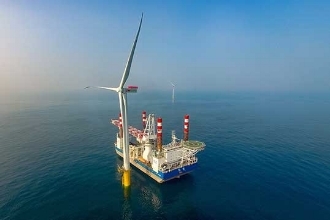 "K2 Management offshore wind and project experience has been instrumental for the continued development and potential success of both projects. As advisors, K2 Management has professionally managed the technical and engineering aspects of our offshore projects." Construction of the 402 MW German offshore project was completed in less than 14 months and just 23 months after financial close. Commissioning activities on the last turbine were completed end May 2017 – 4 months ahead of agreed schedule and below the budget agreed at financial close. 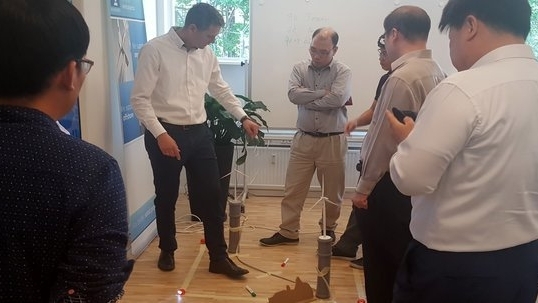 During the construction period K2 Management supported Copenhagen Offshore Partners (COP) and the Veja Mate Offshore Project with dedicated consultancy services. The project was acquired in September 2014 by investment firm Highland Group Holdings Ltd, but at financial close in June 2015 sold to a consortium including Highland, Copenhagen Infrastructure II, a fund managed by Copenhagen Infrastructure Partners, and Siemens Financial Services. 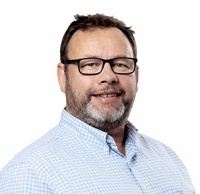 K2 Management has been supporting as owner’s engineer, technical advisor and as part of the project management team – including the role as Project Director – bringing Veja Mate to financial close in a very short time. Technical advisor on nacelle LiDAR based power curve measurements. 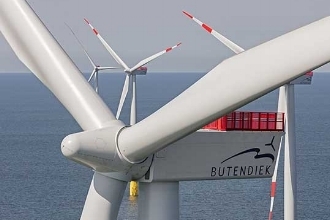 K2 Management is delivering full scope construction management on the €1.2bn Deutsche Bucht offshore wind farm in the German North Sea. After supporting Highland Group Holding as owner’s engineer and technical advisor since 2013. K2 Management was awarded a lump sum service agreement by Northland Power after it acquired the project in 2017. The assignment's scope will see K2 Management deliver full construction management services, from the pre-construction phase through to the Commercial Operation Date, planned for 2019. Providing procurement and technical advice for the duration of the project.